--Glass and stainless steel construction is as attractive as it is functional. 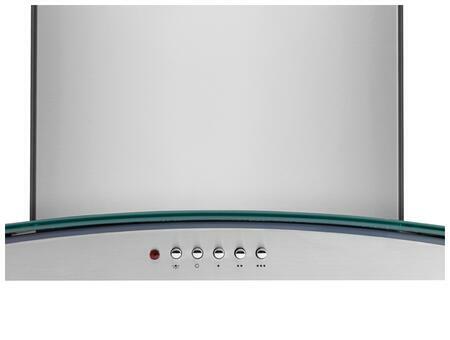 -Move air quietly and efficiently - up to 400 cu. ft. of air per minute. -The aluminum filter provides strength and durability not found in foam filters. 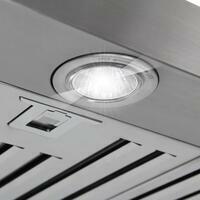 -Four halogen lights provide bright illumination of the cooktop surface on an island or peninsula application. Height with One Cover: 22 29/32" Min. 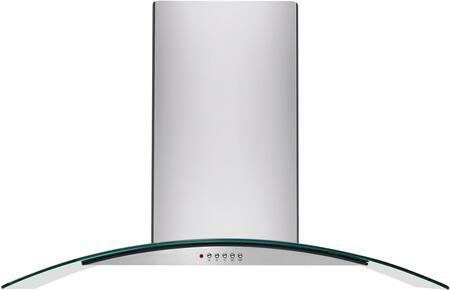 Height with Flue Extension: 30" Min. - 42" Max. 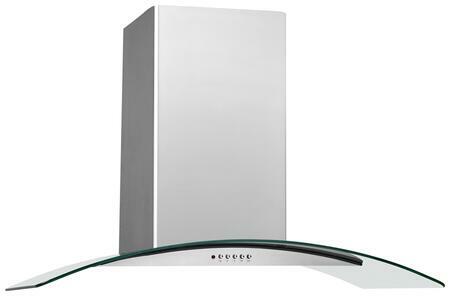 Duct Cover Height: 30" - 42"
Nice unit, sleek look, and seems to work well. However, in the original carton the glass top had a scratch about 7" long, so had the retailer secure a replacement. Alas, the replacement glass had not one, but two, defects: a scratch about 2â€� long and an abrasion (dull) area about 3â€� on the opposite corner. My conclusion is poor quality control. 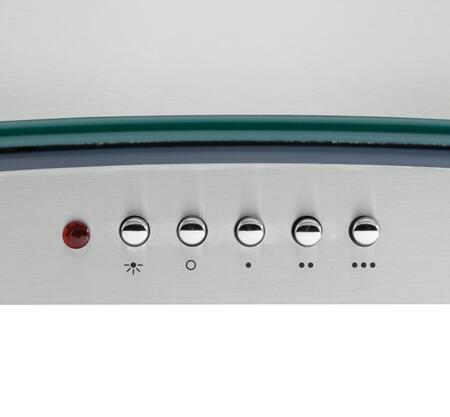 Further, the instructions are fuzzy about installation height above the cook top. Finally, the bracket used to secure the hood section to the ceiling bracket is a slide-type rather than a fixed series of holes in which to use fasteners. In my opinion this is a very inferior method and compromises the stability and levelness of the hood structure (the installer, a professional contractor, had a heck of a time in getting this to be level with the slide-type bracket assembly). The unit looks great with a clean uncluttered look, yet the installation was a huge problem (and, of course, had to be done two times, thus far, awaiting yet another glass canopy, which will cost a 3rd install). I expected more from Frigidaire so this experience has been disappointing, to say the least! 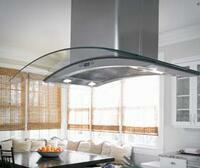 We were looking for an Island hood and were drawn to the modern look of the glass canopy. Installation was easy, just make sure you realize you need to get the vent pipes. When we went to install we were missing some of the hardware, we contacted Frigidaire and received all missing parts quickly, Customer service went above and beyond. Fan operation is very quiet on first 2 settings and not unbearable on high. The lighting is very bright and is focused on our cook top perfectly. Very happy with this Island hood vent.